The Bible informs us that there are certain practices, such as prayer, fasting, celebration, solitude with God as well as others, that we can undertake in cooperation with God’s grace, to raise the level of our lives toward godliness. These activities have often been referred to as spiritual disciplines, disciplines of mind and body purposefully undertaken to bring our personality and entire being into effective cooperation with the divine order. When practiced, these disciplines enable us more and more to live in a power that is, strictly speaking, beyond us, derived from the spiritual realm itself, as we “offer ourselves to God as those who have been brought from death to life; and we offer every part of ourselves to him as an instrument of righteousness,” as Paul wrote in Romans 6. The necessity for such disciplines comes from the very nature of the self as created in the image of God. Once the individual has, through divine initiative, become alive to God and his Kingdom, the extent of the integration of his or her total being into that Kingdom will significantly depend upon the individual’s initiative. I will now focus on one of the spiritual disciplines within the Christian context, which is our subject for this evening, that of fasting. In doing so, I will briefly address three different aspects of fasting within the Christian worldview and their biblical context. 3. And third, I will address fasting as a transformational tool that results in compassionate service to others. From the earliest days of the church, Christians have practiced fasting. Early Christians imitated Old Testament biblical characters that fasted, and sought to follow Jesus’ instructions about fasting in their lives. Within the Christian context, fasting was never perceived as a sign of righteousness in itself. Early followers of Christ didn’t fast out of a sense of obligation, but in a desire to seek the Lord’s presence and out of necessity for the ministry of the gospel. Such discipline is encouraged as the Lord does his work through his people. However, the act itself did not have the kind of formalized or ritualized meanings it occasionally had for contemporary Judaism. Early church leaders such as Basil and Augustine wrote about the spiritual and physical benefits of fasting, urging their parishioners to practice discipline of the flesh. Regardless of abuses of fasting that later occurred within medieval monasticism and church formalism, the Protestant Reformers unanimously affirmed that fasting could find a proper role in Christian practice, and their followers sought ways to implement these ideals. After the Reformation, the Church of England sought to balance fasting traditions with the Protestant emphasis on a free conscience. John Wesley, the founder of the Methodist Church, was the epitome of practicing such a balance, and he promoted fasting in both private and churchly devotion. 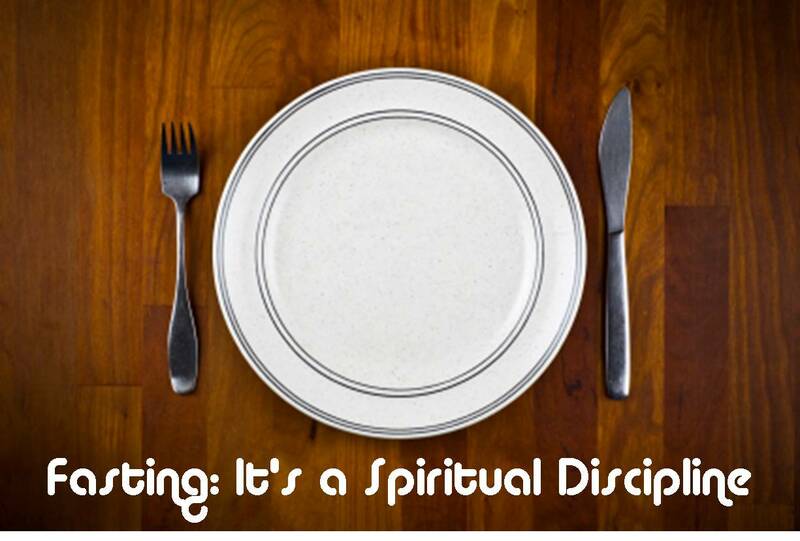 Although fasting seems to have somewhat declined in the modern era of Christianity, the Spiritual Disciplines movement over the last several decades, has called Christians to renew a practice that has biblical warrant and thorough support from every wing of Christian tradition. A prime example of contemporary fasting is the 40 day season of Lent, directly preceding the celebration of Jesus’ resurrection on Easter, which places a particular emphasis on fasting and was spoken of by the early church fathers such as Irenaeus and Athanasius. For many Christians, Lent is a time of ‘profound reorientation’, a time to imitate Christ and participate in his life in concrete ways. Lent commemorates Christ’s 40-day fast in the wilderness, and for many Christians, it is a spiritual journey whereby they identify with Christ, hoping to become more like him by looking within themselves, to examine their hearts and surrender themselves to Christ. It is also a time to look to others, to see how we, as Christians, might serve and lay down our lives for others as Christ has done for us. A recent Barna poll has shown that around 90% of Christians fast within the season of Lent, even fasting technology for a time. Contemporary interest and emphasis in fasting has been highlighted in the work of the Quaker theologian, Richard Foster, in his 1978 book, Celebration of Discipline, in which he reported that his research could not turn up a single book published on the subject of fasting from 1861 to 1954, however, over the last several decades a volume of books has been published on the subject such as Shaping History Through Prayer and Fasting, by Derek Prince; Fasting: A Neglected Discipline, by David R Smith; God’s Chosen Fast, by Arthur Wallis, hence the sense of a ‘revival of emphasis’ if you will, on fasting within Christianity. 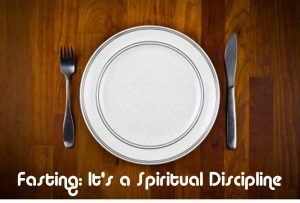 While the Christian faith extols and emulates examples of biblical fasting recorded in the Old Testament, the primary focus of Christian fasting is centered on the person and work of Jesus Christ. This is due to the fact that central New Testament passages related to fasting specifically present this practice as a means for highlighting Christ and his messianic work. Jesus’ ministry begins with two events—His baptism by John the Baptist, and His time of fasting and temptation for 40 days in the wilderness. Unlike Adam, the first man created from the dust, Christ endures temptations in the inverse of the ideal conditions of paradise. Satan attempts to cause Christ to fail even as the first Adam had failed, and in both cases in connection with food consumption. In overcoming these temptations and resisting Satan, he brings humanity at its weakest into complete submission to the will of God, showing that humanity can be united to divinity. As such, fasting is used both as a means to prepare Jesus for his messianic ministry, and to identify him as such in that role. John 4:31-34—Meanwhile the disciples were urging him, saying, “Rabbi, eat.” But he said to them, “I have food to eat that you do not know about.” So the disciples said to one another, “Has anyone brought him something to eat?” Jesus said to them, “My food is to do the will of him who sent me and to accomplish his work. Matt. 6:25—Therefore I tell you, do not be anxious about your life, what you will eat or what you will drink, nor about your body, what you will put on. Is not life more than food, and the body more than clothing? 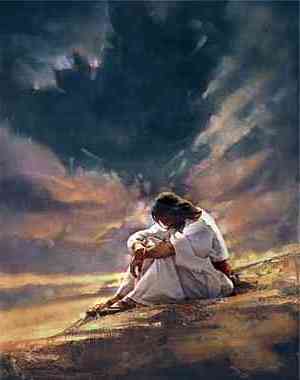 Jesus is expressing the same truth He spoke to Satan in the wilderness, which God, through Moses, spoke to the Israelites. It is not just physical food that sustains us; it is doing the will of God. This is the truth that underlies the practice of fasting in a Christian context. Fasting is not magic; it does not manipulate God to do our will. It is our submission to His will, as evidenced by the fact that our time is better spent in prayer or in some specific ministry than in eating a meal. 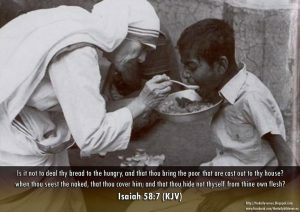 Jesus subordinated eating to doing the will of God. Fasting confirms our utter dependence upon God by finding in him a source of sustenance beyond food. Through it, we learn by experience that God’s word to us is a life substance, that it is not food (“bread”) alone that gives life, but also the words that proceed from the mouth of God. We learn that we too have meat to eat that the world does not know about (John 4:32, 34). Fasting unto the Lord is therefore understood in the Christian tradition as feasting—feasting on God’s presence and on doing his will. I drank at every vine. With my thirst and my hunger. Yet he foresaw the era after his departure from this world when the bridegroom would be taken away, and he said this would be a time for fasting, and their fasting would be an expression of their sadness at his absence. Even so, we, as Christians, find ourselves today in an age of fulfillment since Jesus has come in fulfillment of messianic prophecy, while still being in an age of anticipation, as we await His second coming. The feast has ended, and fasting has taken its place. There is continuity with the past in that both fasting and feasting mark the Christian’s experience. But since Christ has come, the significance of each of these practices has been reversed. Where once the faithful feasted in hope, they may now feast in realization of hope fulfilled. Where once the community fasted in mourning, they may fast because of Christ’s absence and in anticipation of His return. What’s new about the fasting is that it rests on all this finished work of the Bridegroom…The newness of our fasting is this: its intensity comes not because we have never tasted the wine of Christ’s presence, but because we have tasted it so wonderfully by his Spirit and cannot now be satisfied until the consummation of joy arrives. We must have all he promised. And as much now as possible. If Christian fasting is done in imitation and remembrance of Christ, then it follows that this also anticipates something. In the Gospel of Luke, an elderly prophetess named Anna, fasted and prayed in anticipation of the messiah to come. In meeting Jesus in the temple, she witnessed the fulfillment of the messianic prophecies she had earnestly awaited. (Luke 2:37). So too, Christians may now fast in anticipation of the end of the ages, longingly awaiting the new creation when all will be made right and the faithful will dwell in God’s presence for eternity. The depictions of creation’s consummation in Revelation, the final book of the New Testament, are more oriented toward feasting, signifying the end of this earthly period of mourning. Persons well used to fasting as a systematic practice will have a clear and constant sense of their resources in God. And that will help them endure deprivations of all kinds, even to the point of coping with them easily and cheerfully. Kempis again says: “Refrain from gluttony and thou shalt the more easily restrain all the inclinations of the flesh.” Fasting teaches temperance or self-control and therefore teaches moderation and restraint with regard to all our fundamental drives. Since food holds the pervasive place it does in our lives, the effect of fasting will be diffused throughout our personality. We discover in the midst of all our needs, wants and suffering, that we can nonetheless experience contentment. And we are told in the New Testament that “godliness with contentment, is great gain” (1 Tim. 6:6). In the Sermon on the Mount, Christ said that his disciples should fast in secret before the Father, “and your Father who sees in secret will repay you” (Matt 6:18). Clearly this suggests that, like prayer or almsgiving, fasting with proper spiritual motives will lead to spiritual blessings from God. So while fasting may at times seem mournful, Christian fasting is also never completely separated from the anticipation of God’s Spirit breaking into our experience even now. As our attentions are lifted from sole concentration on material needs to the often unseen, world of God’s kingdom, the believer anticipates connecting with the God who can operate beyond our normal experience. Subsequent to Jesus’s death and resurrection, another purpose for fasting is noted in the epistles of the Apostles, which is fasting for purposes of Christian ministry, sharing of the Gospel, and service to others. And lastly, a final purpose for fasting was for transformation that would translate into compassionate acts and service to others. For this point, I will refer to Jesus’ teaching from the Sermon on the Mount, in which He instructs His disciples as to how to fast, both physically and spiritually. Fasting for the Christian was not meant to be a public event that would enhance one’s standing in the community or the perception of a person’s spirituality or righteousness before God, but rather a time of personal reflection with the Father. When Jesus directs His followers to anoint themselves and wash their faces so that their fasting wouldn’t be seen by others, he addresses directly the issue of hypocrisy and enunciates the proper motivation for fasting. Through fasting, His followers will discover that life is so much more than food, and in turn their actions will reflect the transformative work of God in their lives. Throughout the Sermon on the Mount, Jesus calls his disciples to a different kind and quality of righteousness than that of the religious leaders of His day. The Kingdom righteousness that Jesus is illustrating works from the inside out because it first produces changed hearts and new motivations (Rom. 6:17; 2 Cor. 5:17; Gal. 5:22–23; Phil. 2:12; Heb. 8:10), so that the actual conduct of Jesus’ followers would “[exceed] the expectations for righteousness” of his day. Thus in the Sermon on the Mount, Jesus extols the poor in spirit, those who mourn, the meek, those who hunger and thirst for righteousness, the merciful, and the peacemakers.